A luxury Gaelic blend elaborated accordingly to pure traditional techniques, non chill-filtered to obtain a more characterful spirit, with astonishing richness and remarkable length in the mouth. Té Bheag, pronounce "tche vek", is a Gaelic name that may be translated as "the little Lady of the Islands", also referring to the glass. It is a luxury blend, crafted accordingly to pure traditional techniques, non chill-filtered to obtain a characterful, richly aromatic spirit with amazing length in mouth. Its originality lays in its high percentage of malt whisky (about 45%) aged 8 to 10 years, balanced by the sweetness of the best Highlands and Speyside malts matured in Sherry casks. 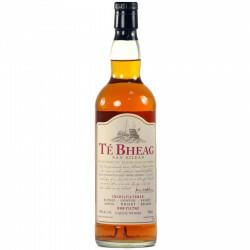 Té Bheag is slightly peated with notes of dried heather, concluding on iodine and flowery flavours in the mouth. Perfectly elegant, oily and wonderfully balanced, a real horn of plenty bursting with genuine flavours. This product has been imported with its original, certified Gaelic label. Gaelic whisky Te Bheag boasts its legendary regional character, such as Mac Na Mara and Poit Dhubh. 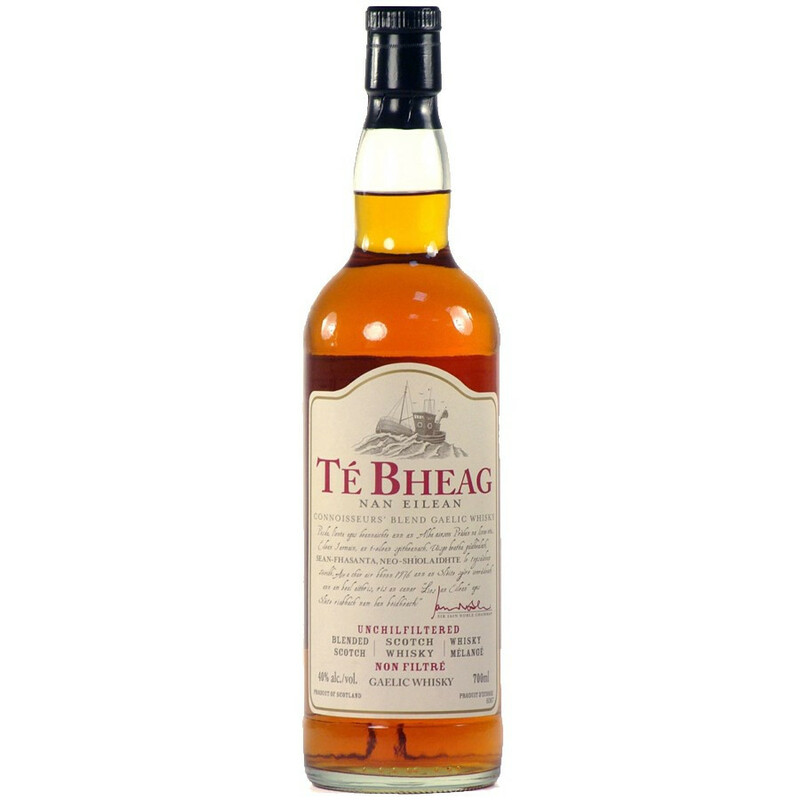 Te Bheag has been created by a gentleman-farmer, Sir Ian Noble of the Isle of Skye, off the West Coast of Scotland. Sir Ian Noble, aristocrat and advocate of the Celtic culture of his country, is deeply attached to the old traditions of the Gaelic communities. He created Te Bheag specifically for his fellow countrymen. As such, Te Bheag is a name known not only on the Isle of Skye, but also on other Gaelic-speaking countries and further, as in Nova Scotia. Sir Ian Noble, so as to maintain the authenticity and heritage of his whisky always refused to distil and sell his whisky to South English-speakers. However, the cultural exchanges that have connected France to Scotland throughout history convinced Sir Ian to sell us a share of his production. His whisky has been produced in the traditional way of blending, distilling and ageing of the Isle of Skye. Nose: floral with notes of dry heather and slightly peated flavour. Palate: slightly iodic and floral with round notes of Sherry. Finish: very classy for a blend, a finale marked with the unmistakable malts that compose the spirit. Gold Medal in its category at the International Wine & Spirit Competition 2009.